Internet connected fitness systems are bringing the gym to the home. With applications for wellness and rehab. This article in WIRED article ‘Prepare for the Smart Home Fitness Revolution’ provides a good overview. The Peloton bike brings you the a convenient and immersive indoor cycling experience, streaming daily live classes from their NYC studio directly into your home. They also have the Peloton treadmill. When off, it's a full-length mirror. 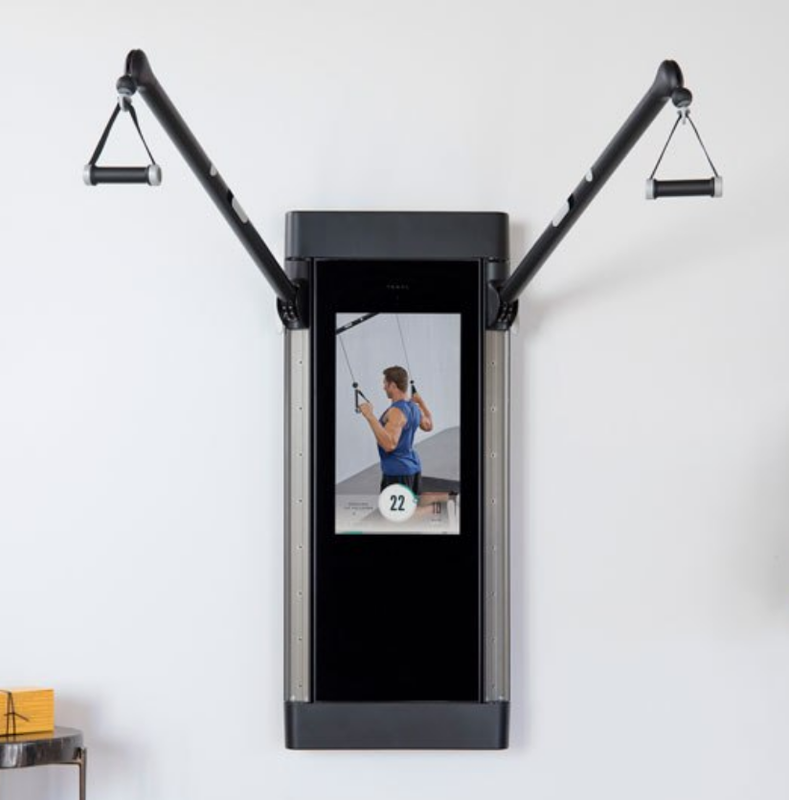 When on, see yourself, your instructor and your classmates in a sleek, interactive display, complete with embedded camera and speakers for live or on-demand workouts.